A way out of Anorexia, bulimia and compulsive eating. Writing from her own experience as an ex-anorexic and as a counsellor, Helena Wilkinson explores the underlying contributory factors to eating disorders, including family background, sexuality struggles and emotional hunger. Beyond Chaotic Eating by Helena Wilkinson was published by Roperpenberthy Publishing Ltd in November 2001 and is our 26380th best seller. 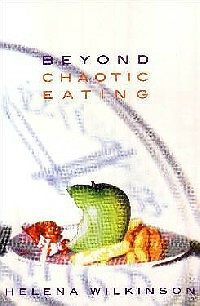 The ISBN for Beyond Chaotic Eating is 9781903905111.